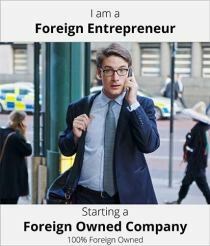 The types of business ideas to implement in a foreign country are virtually endless, ranging from innovative options such as creating a new product or brand altogether, to something more grounded like starting a franchise business. The idea of a franchise may be a safer options for those who intend to rely on a reputable brand name while enjoying the benefits of investing in the populous, vibrant nation of Indonesia. Indeed, Indonesia represents an ideal territory to apply the franchise business model: made up by a young, digitally savvy population with a growing middle-class, the country needs more and more foreign investors to expand even further. As most business plans, franchise businesses in Indonesia still need to go through significant bureaucratic procedures and complex laws that regulate this type of investment. Said that, investing time and finances into running a franchise business in Indonesia as a foreigner is not impossible, it just takes preparation and knowledge of the various steps to take. In Indonesia, both the franchisor and the franchisee can be individuals or legal entities, resident or non-resident (this varies depending on the entity registration and location). Franchisors can rely on sub-franchisors (resident or non-resident) to run their business in pre-determined location. Neither franchisors nor franchisees need to undergo trials or belong to Indonesian business organisations to be operative in Indonesia. Both franchisors and franchisees are to obtain a franchise registration certificate or STPW (Surat Tanda Pendaftaran Waralaba). The franchise company is to update the Indonesian authorities which issued the STPW on the progress of their franchise by submitting a detailed report by 31st March every year. Franchisors and franchisees intending to run their business in Indonesia must ensure that at least 80% of the raw materials, services and business equipment are locally sourced (from Indonesia). Franchisors need to possess at least 5 years of business experience and be able to report on the goods and services used for their business. Obtain the STPW franchise registration certificate, which takes approximately 3 months to be issued and is valid for 5 years with the possibility of extension. Approach the Ministry of Trade and register the Prospect of Offer, which must be in Bahasa Indonesia and legalised by Public Notary and Indonesian Embassy where the Franchisor is located. Register Franchise Agreement to the Ministry of Trade, which must be in Bahasa Indonesia and in accordance with Indonesian Law. Another important step to register a franchise in Indonesia is to provide a disclosure document which shows the franchisor’s ID alongside his business history, the franchisor’s businesses and their organisational structure, a list of all franchisees and details the rights and obligations of both franchisors and franchisees. Except for small entities, franchisors are to submit audited balance reports for the past two years. All disclosure documents coming from a foreign franchisor must be legalised by a recognised body. From a socio-economic point of view, Indonesia is a country in constant expansion, where foreign investors would find themselves in the right place, at the right time. Setting up a franchise business on the Indonesian market is a viable option for those who are considering a less risky alternative to business in a foreign territory. So what are the best possible franchise businesses in Indonesia?